Tell us the story of the bank – its history, the milestones and what you are most proud of. Commercial Bank was established in 1960. That’s about 50 years of existence. It opened in this area, the commercial area. Most of the branches were also built in the commercial area, rather than in residential areas. This was corrected later on when the management of the bank realised it was necessary to have a presence in the residential areas. There will be further expansion into the residential areas of new cities that are coming up. The milestones are that we are a Kuwaiti bank, a local bank. We don’t have branches outside of Kuwait. We are a purely local bank. The main business of our bank is typical of local banks, corporate lending and retail business for individuals and consumer lending. We do international business of course, though we don’t maintain a presence outside of Kuwait. Through our International department we deal with LC financing and LG issuance. And for international companies that come to Kuwait on infrastructure building projects, we have correspondent banking relationships with outside banks. We deal with other banks on various issues like treasury activities, money market foreign exchange, the import of commodities from outside of Kuwait. As you know Kuwait deals mainly in oil, so we import a lot of commodities from around the world. International business is also done through syndication, lending to banks and companies outside of Kuwait. So we have an international presence, though not directly, but through our correspondent banking relationships and through our contacts with these banks. A very relevant question now is the drop in oil prices and its impact on Kuwait. Are you bracing for the impact? Do you think they will affect Kuwait? Two months ago was just the beginning. Prices have continued to drop. People are wondering when and where it will bottom out. It will affect countries of course, even those countries that have extra liquidity and extra cash flow put aside for future generations or for foreign exchange reserve requirements. Oil producing countries will have to start drawing from this cushion of liquidity if prices hit a certain low, which is different price point for each country. Otherwise they have to change their plans. For example, if a country has 20 infrastructure projects pinpointed as very important for the year, they might have to trim the projects, postpone them or set them aside for later. Or you prioritize the projects. It cannot be all of them at the same time. Will it affect spending? Yes, each country will be affected differently. Kuwait has already been discussing some spending cuts. Certain benefits may be suspended, there might not be as much spending as planned. Some cost-cutting is expected of course. We might also see some budget deficits down the line. Kuwait expects it around 2017 or 2018. It will all depend on how much oil prices drop, no one can predict that. In my personal opinion prices may drop into the 40s but it will be temporary. After a while, I think it will pick up a bit to stabilise, at a point that is reflective of the market, perhaps around $65 to $70 plus a barrel. I am not an expert on oil prices, but from all the readings, that would be considered a proper price for a barrel of oil, rather than $115 or $120. That’s the expectation. For us, as a local bank, we will be affected of course. Some of the infrastructure projects we were aiming to participate in may be affected. Some of them may be postponed. Many of the local banks are hoping to participate in the new projects in the pipeline. These projects are important for many reasons, number one being they are infrastructure projects for the country, part of the development plan. Secondly, these projects are right here in our country. Even if there are delays, or other problems, it’s in our country so we can watch and monitor these projects. Thirdly, there is a return on these projects. Ultimately, the goal of each bank is to make money. These are long term projects because they are infrastructure projects. There are positive factors for us. All the Kuwaiti banks are willing to participate in these projects. There is stiff competition for this long term project business, not just from Kuwaiti banks but also foreign banks and regional banks with branches in Kuwait. The competition is the probably the pressing issue in the issuance of bonds. If the project is very large, we can all have a share in the business. If it is a smaller project, it can be handled by just one of the banks. It doesn’t need a consortium of banks. With the current situation, how is the banking sector going to be affected in 2015 and 2016, in terms of profitability, consolidations, loan loss provisions, reserves? When we consider it internally, in our bank, we are realistic about 2015. It will be a more difficult year than 2014. We thought the same of 2014 when it began, compared to 2013. The coming year, 2015, will be a tough year, because of the developments in the region, the market conditions and the effects of European economies. It’s a connected world and we will be affected by it. As for profits, all Kuwaiti banks have a capital adequacy buffer. We will be able to withstand and absorb it. Basel 3 will be officially implemented by the end of the year. Some of the provisions have already been applied by order of the Central Bank. 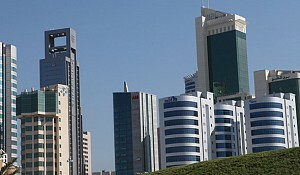 All Kuwaiti banks have a strong capital ability. All Kuwaiti banks have made a profit. Not all the banks have distributed the profits in cash, but more in bonus shares. It is a return for the shareholders, but not a cash return. I’m not sure how profitability will differ from one bank to another. It will be a tough year. Perhaps banks need to change some of their strategic thinking. They might postpone some plans. Or they might go aggressively with a certain line of business that they feel suitable for the market conditions now. It depends on the bank in question. In our bank, we are being very watchful of the situation. We are also watching how the government proceeds with their initiatives and projects. For us it will be in the local market, in the retail business. A lot of young Kuwaitis are graduating and entering the job market in government or private sector jobs. For us they are new customers needing the full package. A new job entrant will want a banking or savings account and a salary account. After a while he may look to personal growth through marriage or setting up a small or medium sized business. If we can attract the new job entrant, he will probably stay with us through his own growth cycle. We can develop the relationship with them. That is our target market. Many banks do the same thing. Customer service will make the difference between one bank and another. There are the foreigners too, non Kuwaitis, are also potential customers. There are different criteria for lending to non Kuwaitis. There are the mega projects to come. There is also corporate lending. Construction and contracting businesses are potential customers. They are part of the normal business we have in Kuwait but they are also linked to the big infrastructure projects in the development plan. They will bid as a consortium of local companies or with foreign companies. We have seen this many times. A local company might take on a foreign partner which has a strong reputation in a specific area, like road building or airport expansion or in building oil refineries or gas gathering centers. So it depends what business you are in. It could be a Turkish company or a Korean company, with a local partner. The local company will remain a smaller, independent entity though. Regarding NPLs, non-performing loans and provisions, many banks have already cleared their balance sheets of these. Our bank has been through that process. Our NPLs are now below 1%. It used to be in the 20% range five years ago. Each bank has gone through that process of clearing that up. Some banks have done it speedily, while others have done it slowly. This is controlled by the Central Bank and the regulatory authorities. 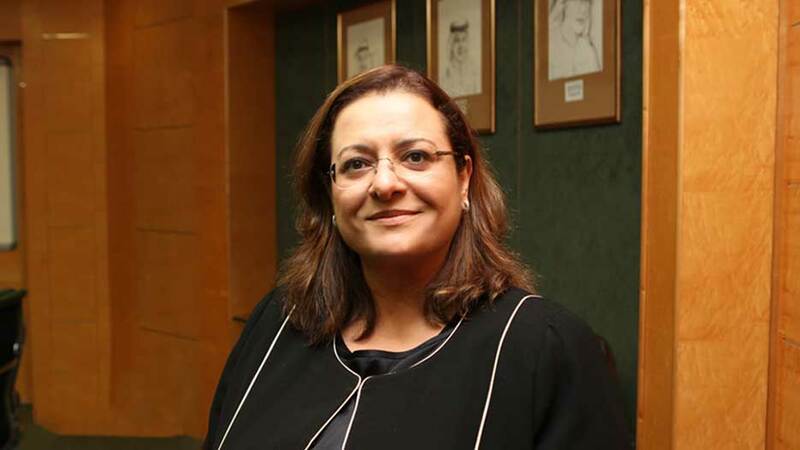 What do you consider the biggest risk for the banking sector in Kuwait? Could the drop in oil prices trigger some corporate bankruptcies and affect other spheres of business? I doubt the drop in oil prices will cause bankruptcies. In the financial crisis of 2008-09, any company dealing in investments, stocks and shares, was definitely affected. Especially those which went in for long term borrowing against short term financing of assets. Today’s drop in oil prices, will not cause that kind of problem. There will some shrinking of business. But the oil will still be produced and produced daily. It will affect the budget and expenditures of the government. Salary increases might be frozen, development plans in certain areas like education and healthcare may be put on hold or have their budgets trimmed. This will be until we can get a clearer picture of the future. We are waiting on the announcements from the government. So what is the major risk for the banking sector? If you look at history, no bank in Kuwait has fallen. Let’s start with the Souk Al Manakh in the 1980s. I was just starting my career in Kuwait around then, in 1984. People were talking about Souk Al Manakh then. It was a big credit bailout program. It was not huge in size but it happened and the Central Bank and the government were there. Then Kuwait was invaded. That had a huge impact. No country is invaded and bounces back immediately. The Central Bank and the government stepped in again. They issued bonds for nearly $5 billion. They bought up the entire portfolio of NPLs of individuals and corporations. That was over 20 years ago. The banks went through it all and have emerged successfully from it. Some of the customers even made repayments. 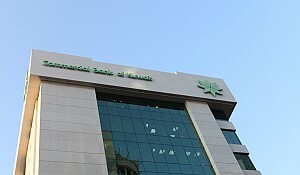 The government, the Central Bank, the system, has never allowed the failure of a bank in Kuwait. Whenever a local bank has such issues, the government steps in. Of course, now there is more oversight and regulation of Board decisions, compliance issues etc. The sector is more sophisticated now. There is better corporate governance in banks too. The situation has developed over time, through the problems. Regulatory authorities are stronger in communication and stricter in follow ups. Things developed even more after the financial crisis. There is more dialogue, the CMA (Capital Markets Authority) is in place, issuance of bonds are better regulated. Things have changed. But do I expect any bank to fold? No. The system will not allow it to happen. Kuwait has the capability and the money to support the system. Regarding regulatory authority, I was shocked when the head of the Central Bank resigned and was replaced by someone much younger. It seemed it was a statement that he couldn’t do it any longer. Do you feel that something is not right within the regulatory framework? It is not as if I meet Sheikh Salem everyday. I see him at social events. 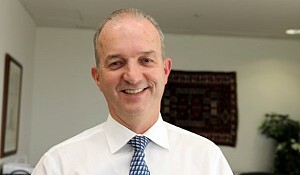 He is a very well known figure, regionally and worldwide. At the time, it was mentioned in the news media that he was against certain moves, like excessive government spending and expenditure, he wanted some cost cutting etc. Those issues were publicised. He is a very well known figure in the country on the economic and political fronts. But Dr. Al Hashel took over after him. He has also been with the Central Banak for quite some time. Tell us what is your perception of the regulatory framework. I’ll answer with some real examples. By the end of 2003, when banks looked at their loans to deposits ratios, they had figures of 115, 120, 125%. This kind of figure may be existing in banks in countries like UAE, because of their expansion and construction etc. The internal discussions considered how high we could go, maybe 140 or 150%. That would be hilarious, there is something wrong. This is basic banking. The Central Bank stepped in and said each bank had to consider these levels and try to reduce it to about 80% within a set timeframe, 6 months to a year. This was before the crisis but something was already boiling up. They saw it coming. They tried their best to monitor every bank and made other rules and regulations. Some bankers may consider them too tough. From my own personal experience, it’s better to have a strong regulatory authority keeping an eye on things rather than no oversight at all. Mistakes do happen. Every system has drawbacks and limitations. Investment companies were badly affected by the crisis but we will not discuss it here. It was a hiccup in the system. The regulatory authorities didn’t see it. Balance sheets were growing but with the crisis elsewhere, liquidity shrank. Now borrowing is hard. It’s extremely expensive to borrow and collateral is high. The situation was upside down. Can another crisis happen? Yes it’s expected in the emerging markets and Europe. Germany has been shouldering much of Europe’s burdens but how long can they do it? A crisis can happen in the Middle East again. Real estate prices have expanding in many GCC countries. These prices are not really reflective of ground realities. Stock markets were up but in the last 2 weeks there’s been a huge drop, in the UAE, Saudi Arabia and even Kuwait to a lesser extent. You mentioned earlier that customer service would be the main differentiating factor between banks. What are you doing to strengthen customer service? It will take time before we can say we are the bank with the best customer service. But we will have to do it fast. All the banks provide nearly the same level of service. The main distinction will be in customer service, mainly in the areas of promptness of attention and the level of automation and technology provided. We can’t take too much time to process papers, have too much paperwork for loan approval etc. Customers will be itchy. Other banks are providing quicker service too. We have to match and be better. Customer service is a package. It comes from the front. 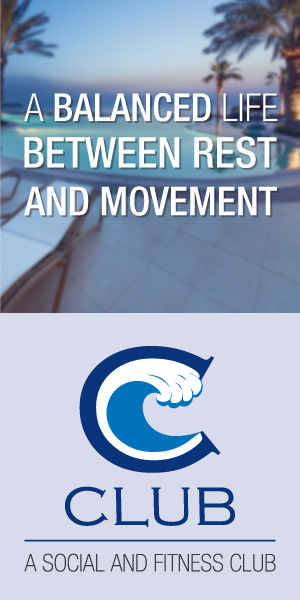 The staff has to be customer focused, from the first point of contact at reception to the business officers, to the people approving the facility. Cutting down on bureaucratic red tape is customer service, answering the phone politely is customer service. Everything we do has to focus on customer service. This culture sometimes exists, sometimes it doesn’t. We have to make it the language of our bank. We have to train all our people. We are working on it. It’s not easy but we are working on it. The second level in this customer service package is technology. What will set us apart is what we can offer to make the experience faster and easier. More automation does not necessarily mean fewer people working in our branches. Qualified people are always required. People with certain skills, information and knowledge will be needed in other departments. We still need people. When we were talking earlier, you had mentioned labour accounts. What makes you better at these accounts than other banks? We started taking labour accounts 12 years ago. In Kuwait, we have Kuwaitis and non Kuwaitis. A big portion of the non Kuwaitis are in the labour account industry. They are the people who man the labour in companies, restaurants, barbershops or any other place of business. Those people need a bank too, because they use banking facilities like transfers. Some of them just use the money exchanges. But they need an account to put their money in, they need debit cards etc. They have to deal with a bank. Our bank provides that service. It started with the idea of serving and taking care of them. It started with one specialised branch. This has now expanded to 3 specialised branches because the numbers are large. Actually we need even more branches for this segment of our customers. We started making packages for global relationships. If we are dealing with say, a Korean or a Chinese company, they have people from their own country making up part of the labour force here. These could even be senior level officers, engineers etc. They all need banking facilities. We package to all of them. We become their local bank in Kuwait. 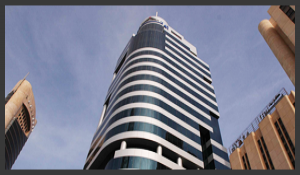 So we deal with the corporate needs of the company as well as provide banking facilities for their employees. We provide accounts for labour as well as for senior officers who need credit cards etc. Our bank is very active in this segment. Many of our customers asked for help with their labour accounts. It has been contributed well to our profits and it has been a growing segment of our business in the past decade or so. And we are expanding this. With regard to your international network, why do you think customers who are interested in moving into foreign markets should come to you? It’s a misconception to say that a bank that has no branches overseas cannot do business abroad. Even if we are located in Kuwait, we deal with China, India, the US, Canada or any other country. Because we have correspondent banking relationships with banks there. Some of the foreign banks have had a long relationship with us because they have been in the region a long while, with branches in Dubai, Abu Dhabi, and Kuwait. It has further expanded and solidified with the branches set up here. You can view them as competitors, but they are also allies. For my customer’s requirements I deal with many banks around the world, one or 2 in Germany, 2 in the US etc. It’s as if we have a presence there ourselves. There is a fee of course and certain expenses that the customer has to bear. But we negotiate on behalf of the customers to get them the most suitable, least expensive service. Through this network we deal internationally. Two years ago Gulf Bank initiated a new customer service strategy, a speeded up service, motivated by Domino’s Pizza. Did this strategy have any bearing on the way banks in Kuwait think? Did you come up with anything similar? We are working on a similar strategy, not exactly that. I’m not sure what their exact experience was or how well it worked for them. For ourselves, we know what the internal limitations are. We know what positives we can build on. We have certain cornerstones that we can build on to withstand any hiccups that we know internally. If we don’t see, there’s a big problem. There are things we can do for retail and business. We are working on certain things now. It will become more obvious by mid 2015, related to automation and customer service. It’s good to know what each bank is doing. Banks are doing well. While we don’t consider Gulf Bank a competitor, we know they are doing well after they changed strategies following the problems several years back. Each bank is doing it differently. There is the link with their own group, through the business side. They can offer other services through the group. NBK is the oldest, largest bank and has a long history in Kuwait. Many people have confidence in it. It is a very aggressive player. Burgan Bank is trying to expand and it is a part of KIPCO. What is it makes that you different? Each bank is different. It’s strategy is ongoing from the beginning. The chairman, the Board, the shareholders make them unique. They are all involved in the culture of a bank. Ultimately though, everyone is looking for a return on equity. No matter what the strategy, the desired end result is return on equity, income. Year to year, they want to see a return. I am sure they will forgive initial hiccups for a year or two, but after that the shareholders want to see results. No excuses can be given. Shareholders ultimately look at your strategies to see if they are realistic, and secondly, is it bringing in income. All the expenses should result in income. It goes both ways. I have to show the shareholder the basis of my strategy, why I need to spend this to get that. Basic banking is that I must get more than I spend. For now and the near future, we are a local bank. This may change after 3 to 5 years. 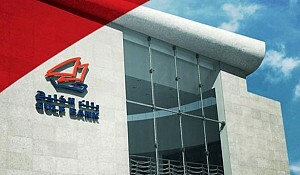 We are your bank in Kuwait, we can meet all your banking needs from right here in Kuwait. If you want to expand outside, we can be your window to that, through our correspondent banking network of branches with foreign banks. Can you give us a one sentence philosophy of banking? And why you think you can address these needs of the corporate and individual clients? We are your bank in Kuwait. We are a local bank but we can provide comprehensive financing needs, cash and non cash facilities, for your company and your staff. Even if it’s outside, as long as it’s linked to a proper project, we can help. Knock on our door, and we can set up for your needs in a speedy fashion with the best service for you. We are your local bank.